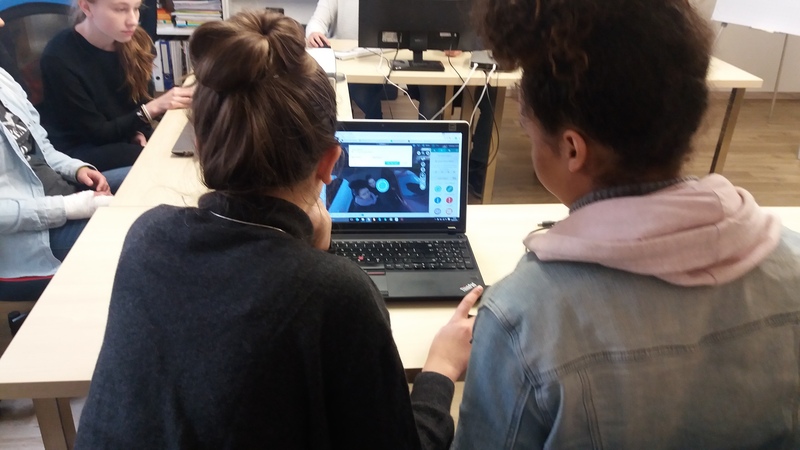 On 28 January, we opened the doors of our Headquarter for 6 enthusiastic girls who were motivated to create awesome Virtual Reality content with Holobuilder. The goal was to create a 360° Tour through Aachen. So we started with a short introduction to “What’s Virtual Reality? What’s Augmented Reality?”. Then we explained, how a 360° camera works and the girls took their first 360° Photos with a Theta S.
We started our Tour at our office and walked to the city center to get some 360° Photos from the town hall and the cathedral. Back in our office, the girls started to compose a tour with Holobuilder. It was great to see how fast the girls were able to create a 360° city tour and how much fun they had to give their creativity free rein. More and more frequently, we were contacted by educators, who tells us about their experience with HoloBuilder in school. The feedback is consistently positive and we often heard, that HoloBuilder.com is used for making Virtual Reality and Augmented Reality touchable, but we never gained this experience by ourselves. It was an awesome day, sharing our office with such creative and motivated girls.